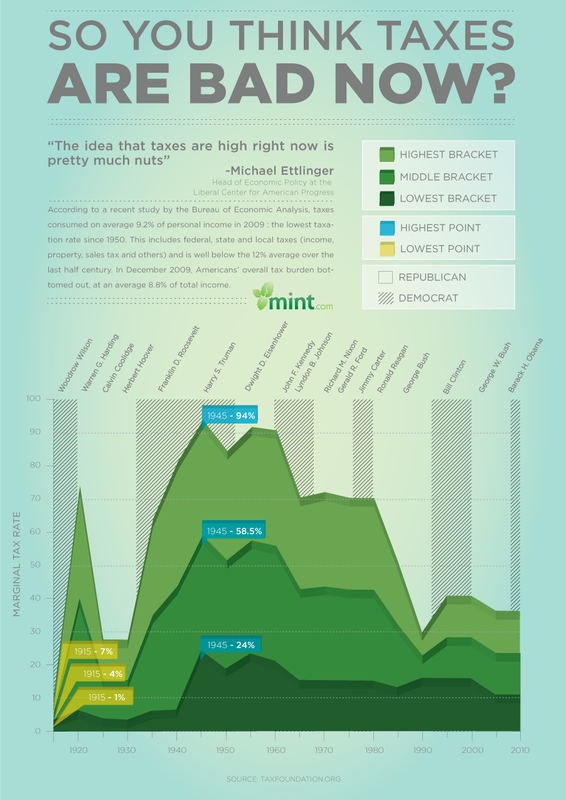 How Does Your Current Tax Burden Relate to the Past? (Infographic) — The Life and Times of a Young Professional in San Antonio. That quote makes me want to cry. Note the differences in Republican Presidents vs. Democrats. Also, Ronald Reagan is amazing.